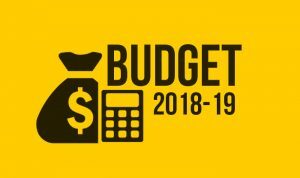 Scott Morrison handed down his third budget Tuesday night which was focused on granting a bit of tax relief to middle and upper income earners in Australia. In order to pay for this the Government is banking on the continuation of collecting billions in tax receipts from iron ore, coal and the oil/gas industries. I do believe the aggressive forecasting used is a mistake as there is no guarantee the economic success in China (they love to buy our commodities) is going to roll on unabated. Challenger Financial was the major winner from the budget and rallied around 5%. Challenger is Australia’s largest provider of annuities. The Government has proposed to put in place a rule that requires trustees of Super Funds to offer Comprehensive Income Products. In other words they want Super Funds to be investing in products that offer an income stream for people for their whole life, just like the annuities that Challenger provide. The government has proposed that from 1 July 2019 superannuation funds will have to transfer all superannuation accounts with balances less than $6,000 to the ATO if these accounts are deemed inactive (i.e. have not received contributions for 13 months). The government has proposed that from 1 July 2019 people aged 65-74 with superannuation account balances less than $300,000 will be exempted from the work test for voluntary contributions for the first year in which they do not meet the work test criteria. The 32.5% upper marginal tax threshold will be increased from $87,000 to $90,000. The Government is going to get tough on the giant technology companies operating in Australia that are avoiding tax. Overall as usual a pretty subdued reaction to the Budget on the markets today.